High Tide in the Korean War - Doug Grad Literary Agency, Inc.
By early 1951, American forces and their UN allies had been driven more than 100 miles down the Korean peninsula by the Chinese. 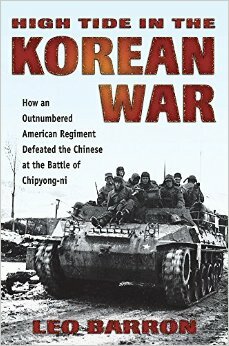 The situation was bleak when Gen. Matthew Ridgway ordered a last stand at the village of Chipyong-ni. There a single regiment (the 23rd Infantry) of fewer than 5,000 U.S. soldiers defeated a Chinese division of 25,000 men in what has been called the Gettysburg of the Korean War.